I was at an object-handling session on the 5th March 2013 and as I had arrived early I took the opportunity get out my phone and play with the QR codes set up next to selected objects. A project called “Tales of Things” has been rolled out at a number of museums, and the Petrie is contributing. The “Tales of Things” project has been set up to explore the relationships that people form with objects. 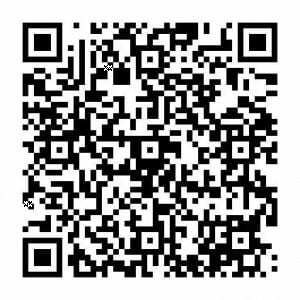 So when you see a QR code in the Petrie with the words “Tales of Things” above it, you will know that it is part of the project, and you can participate. QR (“Quick Response”) codes are two-dimensional bar codes. Unlike the vertical row barcodes so familiar on books, CDs and groceries scanned through supermarket tills, QR codes are combinations of vertical and horizontal lines arranged in patterns contained within squares. The one on the left links to an article in the Petrie Museum’s blog. The two major benefits of them are that a) QR codes can be generated by anyone using a standard web application and b) they can be scanned by users from print or screen by smart-phones and tablet computers.